I was never a coffee drinker. It started slowly; an early-morning cuppa here, a refreshing iced latte there. Bit by bit, almost imperceptibly, coffee became an integral part of my life. That’s how Gran Turismo showed up way back in the summer of 1998. As a 12-year old, I was learning important life lessons — how to improve my abysmal slap shot, which dinosaur would win in a fight, et cetera — when my dad dropped a new game in my lap. “It’s a racing game,” he told me. It was mysterious; the title sounded exotic, and the car on the cover was hidden under a sheet. Even here, Gran Turismo was setting itself apart from the pack. There were no cop chases, nor massive amounts of air. It drew me in. Polyphony Digital — a relative unknown at the time, with only two games to its name (formerly Polys Entertainment) — wasn’t going for shouty. It was going for restraint, for tension; it had a flair for the theatric. What I didn’t expect was how that’d end up making the experience so much more personal. On December 23, 1997, Gran Turismo launched in its native Japan. We’re reflecting on the franchise’s impact in this, our celebratory retrospective. You’ll find quotes from the team peppered throughout. “The Nissan GT-R was my first love,” Yamauchi-san told Kotaku back in 2013. This was an object to admire for a 24-year old Kaz; to be proud of. While I’ve never asked him about it, I like to think that feeling was represented in Gran Turismo by a seemingly simple feature: the garage. With that one addition, the central feeling of ownership was cemented in GT. These weren’t just a collection of polygons you were selecting for a race; these were yours. As my friends and I became more and more invested in the game, we’d bring our memory cards to each others’ houses to face off in our custom cars. Sure, it’s a technological marvel that we can race bumper to bumper with people halfway around the globe now. But in the days of dial-up, this combination of portability and customization was astounding. It meant attachment; I kept my MA70 Supra starter car forever in my original GT save. Not only that, I still take note of every third-gen Supra I see out in the world. That really speaks to the power of Gran Turismo. Its influence extended far after the green light on the PlayStation went off. And I’m not even talking about the life-changing impact it’s had on the Ordonezs and the Mardenboroughs of the world. Like Adam, I can trace plenty of the milestones in my life back to GT in some way. It was the subject of the first online community I joined (RIP GT.com). I met strangers from the Internet in person to play GT2, and still keep in touch with them. I remember begging my mom to drive me up to the mall on the day of GT3‘s release, and being blown away watching the JGTC MR-S tackle the refreshed Midfield. When GT4 launched during my first year of university, I pulled an all-nighter to complete all the license golds. Uh, I mean, to keep my studious roommate company. Yeah, that one. A year later, that game paid for a year’s tuition. Things shifted up a gear around the time of GT6‘s launch in 2013. I found myself in New York City for the first time, to attend the Jalopnik Film Festival. There I met not only Jordan, Michael, and other GTPlaneteers, but Kazunori (and Translator-San). I had him sign my original GT instruction manual. He signed another — GT3, the best game in the series don’t you know — at E3 this year. It was here, as Jordan and I hung out with the PD inner circle after the show had closed, gathered around one of the racing pods as Kaz and Dai Yoshihara took turns drifting around Willow Springs, that it dawned on me. If only 12-year old me knew what that first license test in the Demio would lead to. Just in time for the 20th anniversary celebrations, GT Sport launched this past October. Many have said it before, but it bears repeating: it is the biggest change in franchise history. But that doesn’t have to be a bad thing. GT Sport’s existence doesn’t stop the previous six iterations from existing, nor from being enjoyed. After over 70 million sales, it’s safe to say Polyphony has nothing left to prove in a sub-genre it helped create. Its creator has had a documentary made about him. Manufacturers have used the franchise to simultaneously launch a car alongside its real-world equivalent. The (not even half-done) Vision GT project has drawn in multiple manufacturers, eager to take advantage of the digital platform. There are pro racers out there that got their start because of GT Academy (and I’m not just talking about the winners). Besides, one of the great aspects of the original Gran Turismo was that it was so very much a product of its time. The ’90s saw huge growth in the Japanese car scene, and GT turned that into a global phenomenon. GT Sport landed in a very different landscape. The public attitude towards the car has changed. Gaming, with its focus on esports, has as well. Polyphony has bet big on that latter part, refocusing what had become a sprawling, inconsistent experience into a leaner package. It isn’t without its flaws (as we found in our review of the game), but GT Sport succeeds in reframing a beloved franchise for the new generation. As the definition of a “finished” game gets more and more elastic in a world of constant updates and patches, GT Sport represents a solid base for the franchise this generation. I won’t pretend to know what motorsports will look like a century from now. But with Sport‘s daily marathon achievements, and the driver ranking system emphasizing close, clean competition over the win-at-all-costs mentality, I’ve found myself playing it far more than GT6. Instead of being a game to conquer, Gran Turismo has become an activity I regularly partake in. Just like a good cup of coffee. “Although GT Sport has shunned the numbers game when it comes to content, it recaptured the essence of the series, which (if you ask me) is equal parts driving pleasure and automotive exploration. “You could dismiss Scapes, Museum, the weirdly chill music, and all that ancillary stuff as padding, but for me, it’s integral. It builds the world. And I’m happy that in chasing that stripped-down, esports-focused ideal, Polyphony hasn’t loss sight of the context, because it sets off the entire experience. GT has always been the best at that, and I never want to see it end. 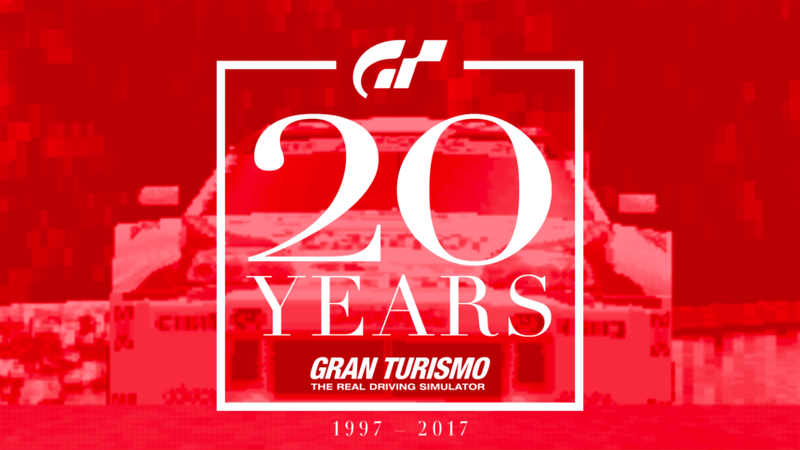 Congratulations to all who’ve worked on the Gran Turismo franchise, past and present. We can’t wait to see where The Drive Of Our Lives goes next.